Ability to add mathematical operations from outside. Ability to handle unary operations. But, I will first clean up the module and namespace declaration a little. It got messy as I was not paying attention to it at all. I decided to have a single namespace for a single project (Stack, RpnCalculator, etc.). Within these namespaces, there will be types declared that I want to expose automatically when I use the namespaces. Also, the namespaces will contain relevant module declaration within themselves. So, Stack namespace will have a type Stack<’a> defined inside along with the module Stack. That will ensure some consistency in the module and namespace names. Also, I have to write Stack.push and Stack.pop now, which is looks more meaningful. Finally, I have to fix the tests to compile with this new form. The changes I made for Stack and Stack.Tests projects can be found here. 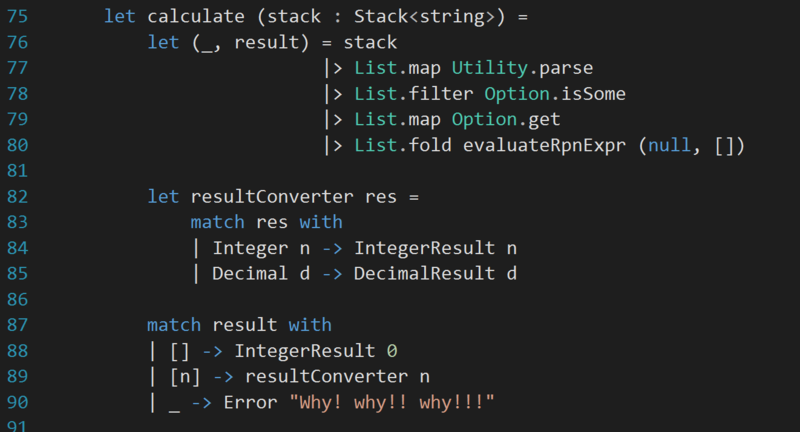 Since the re-arranging of namespace and module for Stack makes it looks cool, I want to do the same for RpnCalculator too. 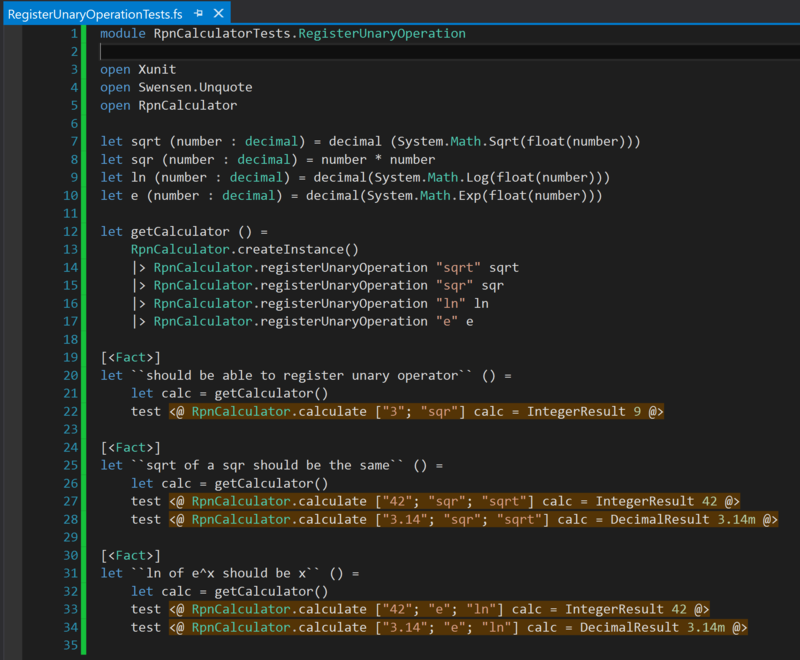 I placed RpnCalculator and RpnResult type declarations in the RpnTypes.fs file, outside any module declaration. I also made the RpnBinaryOperation module internal inside the RpnCalculator namespace. Needless to say, I have to add proper prefix in test codes too to compile them and run. Exact detail of the changes I made can be found in this commit detail. This will make all the tests fail to compile. 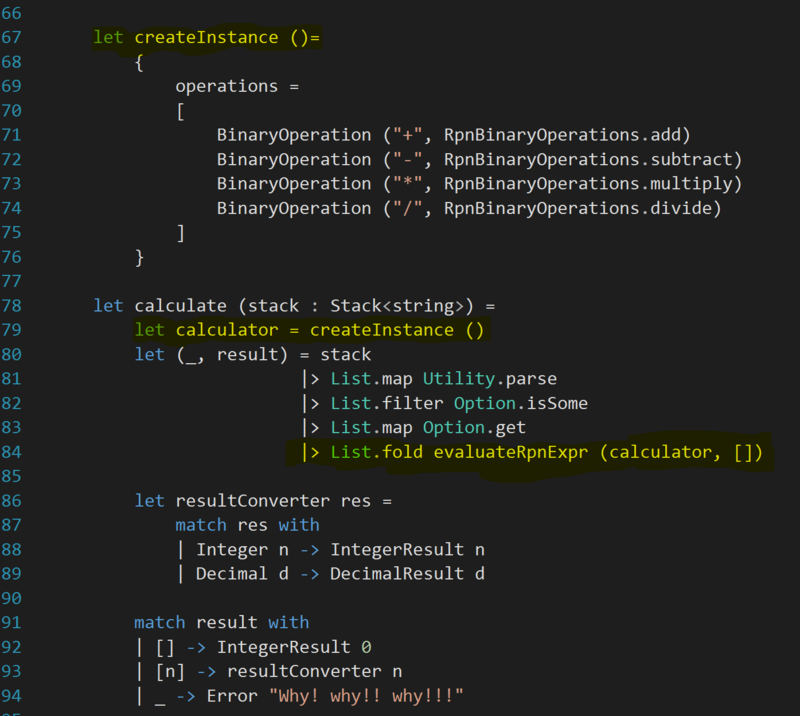 So, I am going to cheat a little with TDD and pass in RpnCalculator.createInstance() as the newly introduced parameter. The changes I made can be found in this commit detail. It immediately makes the tests pass. How cool is that! When I run my tests now, all are passing. Amazing. That marks the end of first part. That’s all for this part. 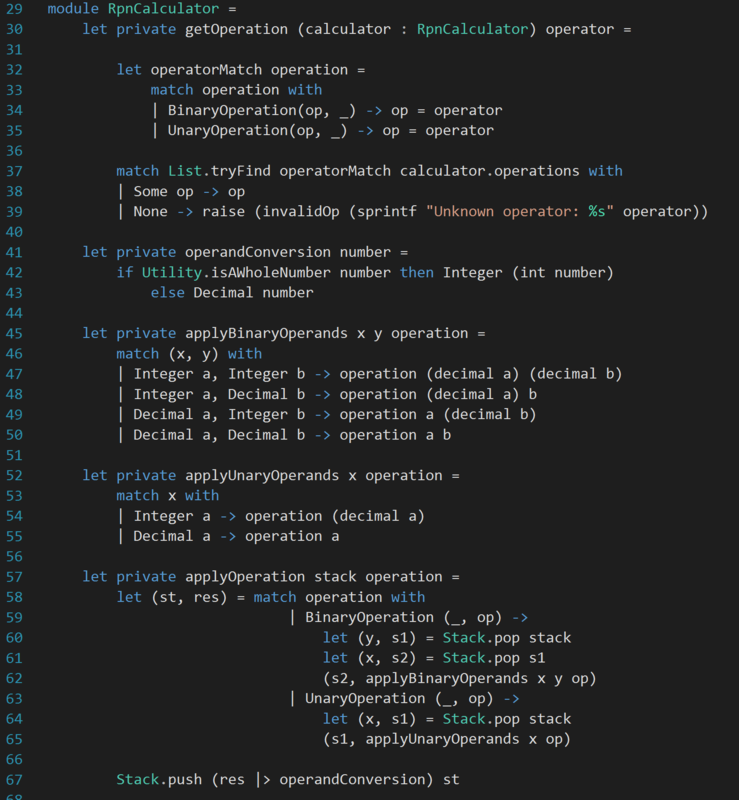 In the next part, I will either spend some time on optimization or will step into the implementation of a calculator for infix notation (how people write mathematical expressions).